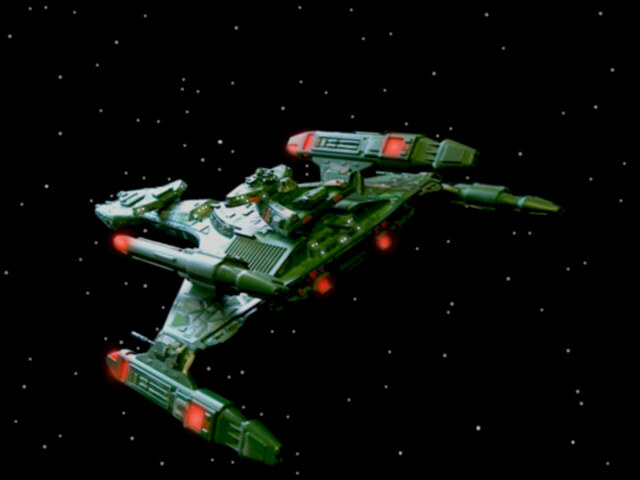 The Klingons are not well known for original Starship design, their vessels are frequently rearrangements of parts of existing vessels or based heavily on outdated vessels. The Type D18 is a relatively new class of ship designed to augment their border patrol fleet. Their borders are generally patrolled by decommissioned or reserve vessels as invasion of their space is considered an unlikely event. The Klingon main borders are now controlled by four command vessels, the D18 class Warhammers. They’re basically upgraded Vor’cha cruisers with a pair of additional nacelles and a large secondary internal power supply with redundant controls for some systems. The weapons have been similarly upgraded as has the deflector shield grid. The plan makes for a very powerful vessel with very little extra costs over the construction of a Vor’cha with the standing tactical plan that the border markers and decommissioned ships can slow down any attackers until the D18s can arrive. 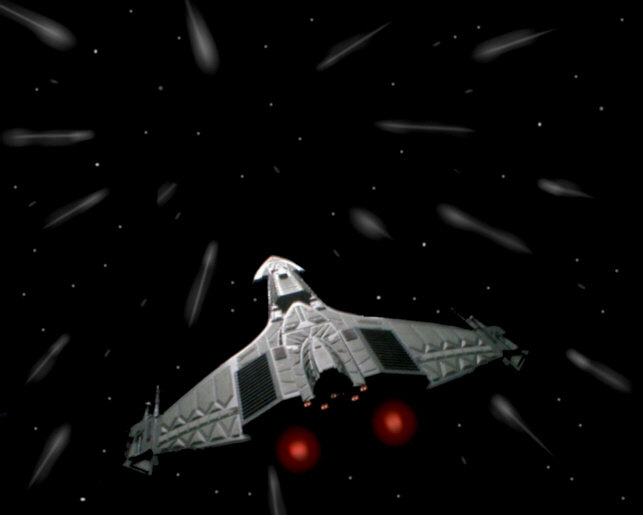 Only four are known to have been constructed and in terms of firepower they are nearly a match to the Neg’Va flagship of the Klingon Empire which is no mean feat. 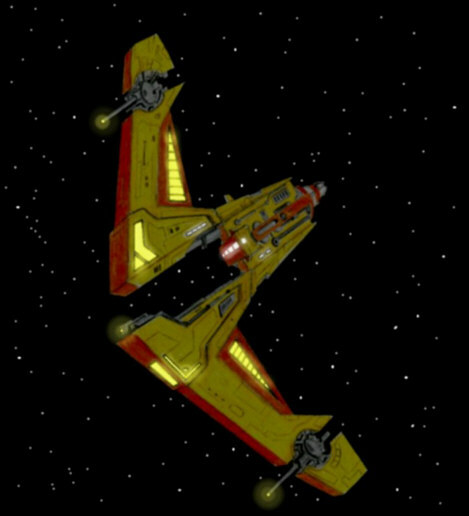 The Ya’Vang class was a modular design borrowing many elements from the Vor’cha class cruiser. 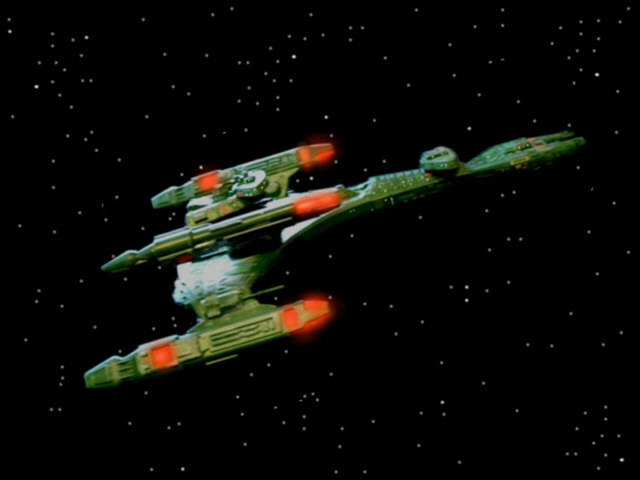 As is typical with Klingon vessels, anything non-military is actually a military vessel with many of the main systems not installed as they rarely go to the trouble of designing anything not conceived for battle. 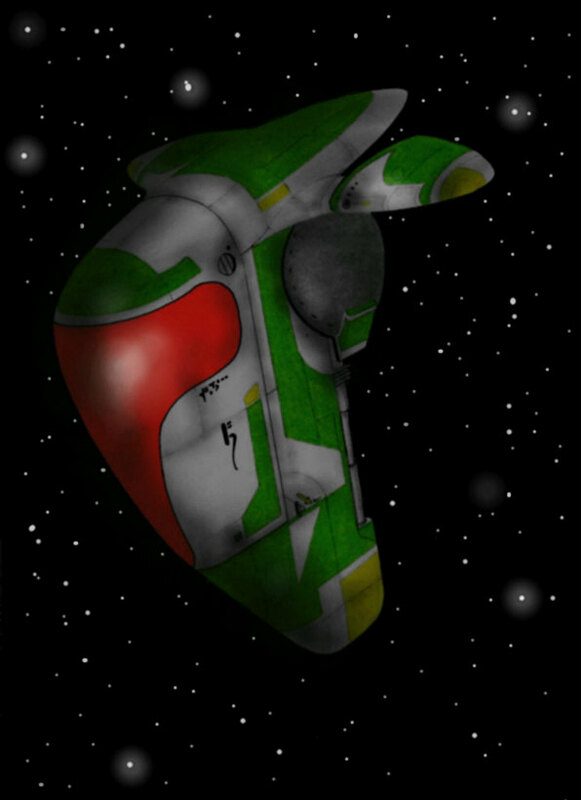 The Ya’Vang class is a very large ship for its type and extremely robust. It was designed to ship troops and supplies to the front line vessels and is equipped with a high powered tractor beam so that it can ferry fuel pods at high warp speeds. Unlike the more powerful Vor’cha the forward section is fixed and contains the command bridge and not a large disruptor cannon. The impulse drive unit is missing from the rear as the engineering is contained inside the vessel in a simplified form. 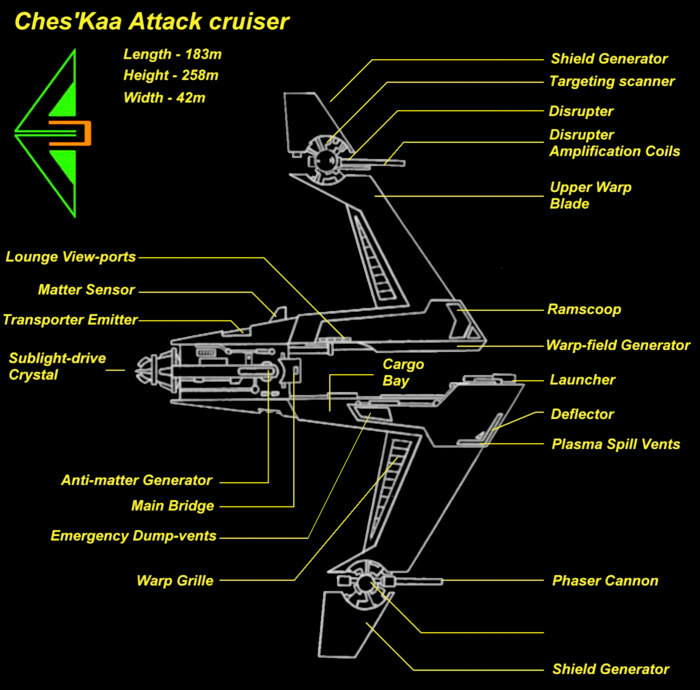 The nacelles are of the much smaller K’lekk type which have only a third of the power and ships of this class can only achieve lower speeds for shorter times than a Vor’cha. Still Klingon at its heart the forward section carries an under-slung binnacle that houses twin photon torpedo tubes and each nacelle has a heavy barrelled disruptor cannon mounted to draw power directly from the warp systems making them surprisingly potent for a ship of this type. 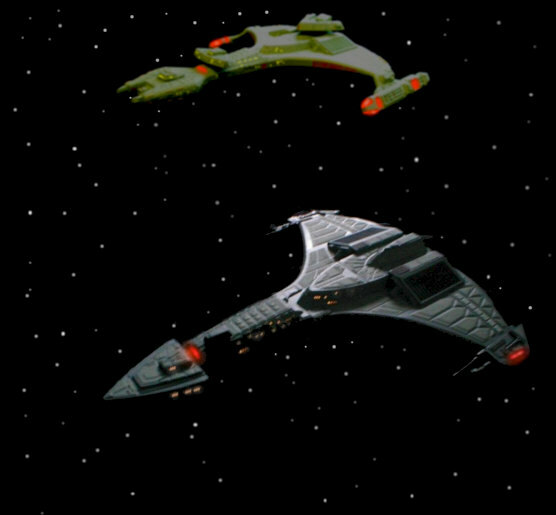 The Romulan vessels used during the conflict had several tactical problems that entirely undermined their offensive strategy. They were incapable of travelling at warp with the cloaking device engaged so they usually warped to the target co-ordinates and recalibrate the engines during which time they were vulnerable. This meant that they would cloak and lay in wait for the target which could mean they’d be waiting for weeks at a time and crew morale usually suffered greatly as Romulan vessels were designed for efficiency with little consideration to comforts. 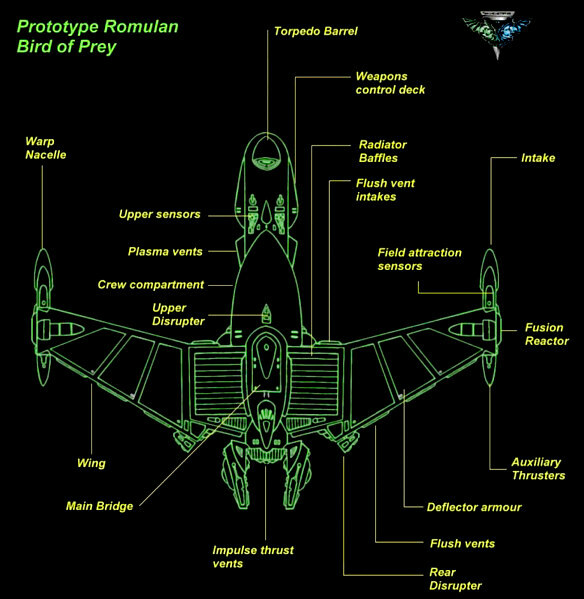 The newly designed Bird of Prey was able to travel at warp with the cloak engaged and using moving wings it opened plasma pathways to bring the weapons online as quickly as possible. 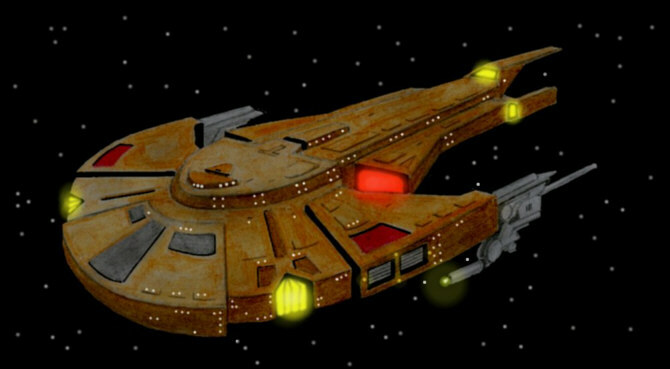 The ship was unfortunately stolen by a Klingon raiding party during the final phase of testing and the pattern was used by the Klingons to design a wide range of new, highly manoeuvrable attack scouts. 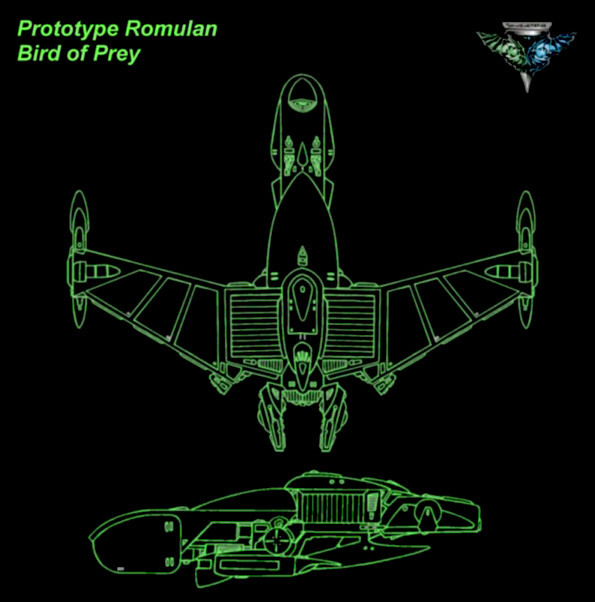 The P’larrak class scout was designed as an attack cruiser but it was quickly found to be severely outgunned by Starfleet vessels and the class was downgraded to a scout class vessel and succeeded by the more heavily armoured Bird of Prey. One of the greatest failings of the ship was the amount of exposed engineering equipment which took heavy damage while cloaked and the shields were off line if the craft was fired on. The Bird of Prey corrected this fault with armoured plating. 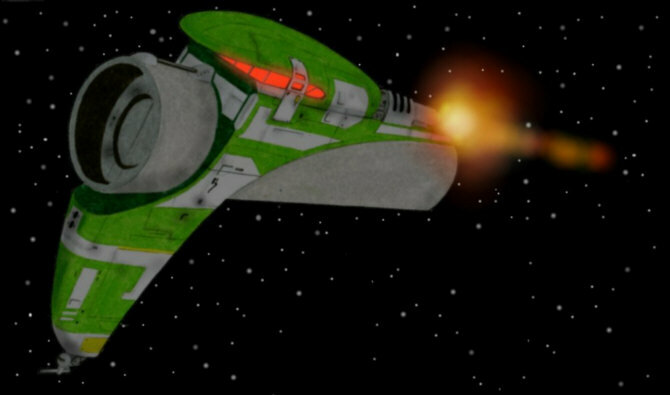 The P’larrak class was actually a highly successful design and as a scout and border patrol ship they excelled for many years but were simply not tough enough to serve on the front line during a conflict. 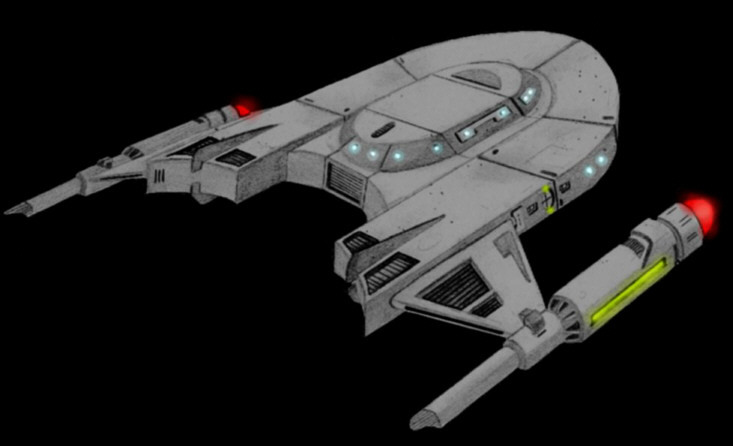 The Cardassian Karekka class destroyer is a modern ship contemporary to the Galor class which remains the backbone of their military fleet. The Karekka’s are highly manoeuvrable ships compared to the larger Galor but lacking the performance from the warp drive, which is considered well behind Federation technology. The weapons are as tuned as they possibly can be and rival Klingon weapons of the same type making these a formidable threat to smaller ships. 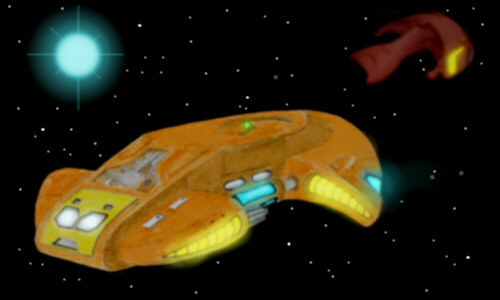 Ferengi scout class vessels are typically a match to a Federation Runabout for size and general specifications. They are utilised as commercial long range sensor platforms and are rented to the crews of larger vessels to augment their sensor capability and range. It is typically cheaper to hire one of the scouts than employ the staff to fully operate a Marauder and spend the time following a search pattern. The scouts are small enough to operated by a crew of only two people and have meagre quarters to accommodate them as most of the vessel is given over to the engineering systems and storage bays. 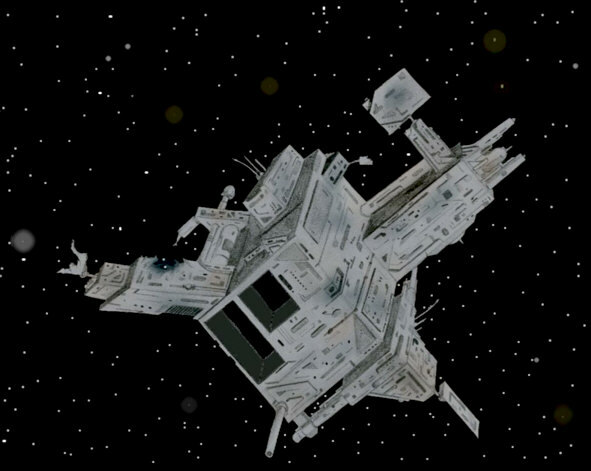 These small vessels are frequently used as small couriers for missions where a shuttle would be inadequate and the cargo bay at the rear is large enough to take 20 blocks of standard cargo boxes. The vessels are typically unarmed but a fusion reactor can be fitted to specially constructed points in the rear cargo bay and the large forward sensor array above the windows can be tuned to emit a relatively high powered energy beam. The Ches’Kaa are an unremarkable species with naturally powerful build and limited cranial capacity. Their technology has developed around the willingness to sell their services to other more advanced species and their culture has evolved them as a race of mercenaries. The K-3 was in service for many years, gradually being augmented by the technological payments they received so each vessel can have very different abilities and general condition. The design of the ship is unusual with an upper and lower blade housing the warp coils and the field generates between them. The bridge has large viewing windows instead of a dedicated holographic viewer and every part of the ship has a highly functional and basic design. 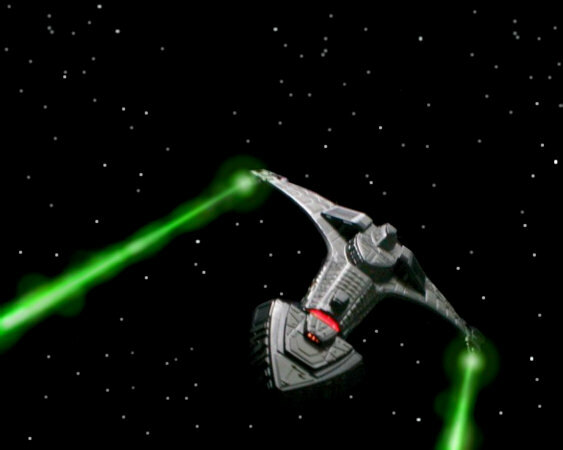 The vessels have two weapon mounts and a launch rig, usually the upper gun is a disrupter for destructive force and the lower is a phaser for more precise attacks. The launcher is capable of adjusting to any kind of torpedo or probe. 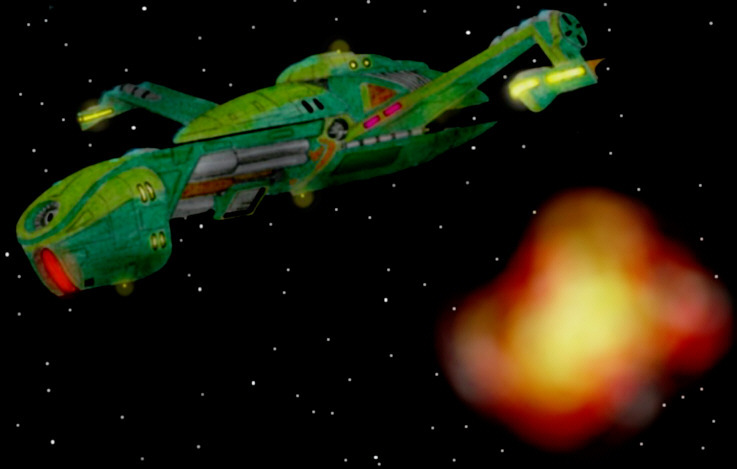 An unknown derelict vessel was located heading towards the Alpha Quadrant on a direct course to Federation space. The vessel was detected by extreme long range probes and was not considered a threat as the object was almost totally without power and was travelling at thruster velocity. The craft was composed of an intriguing material which was obviously the key to the vast construction. Its purpose was unknown and could not be ascertained by long range detectors but it was as large as a small border Starbase implying that it was built be an advanced species. The Paggran home-world is deep within the Klingon Empire. Instead of being wiped out the Paggran race was annexed by the Klingons and the planet was largely given over to the production of weapons and other starship parts. Before the Klingons arrived the Paggrans had gone a long way towards developing a set of working space-faring technology with a simple warp displacement field and a sub-light drive very close in performance to impulse power. 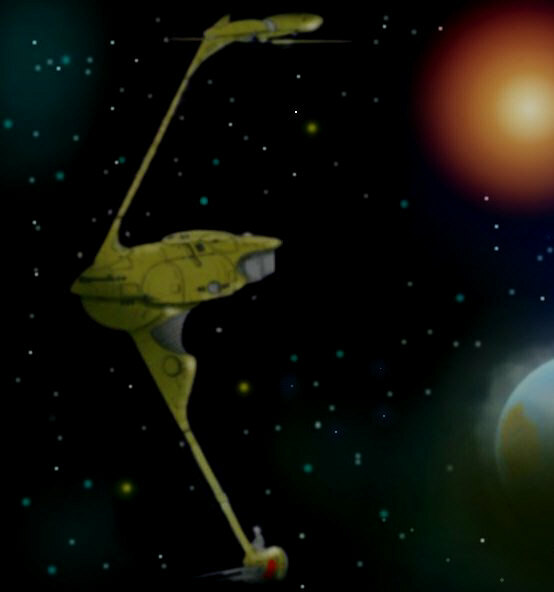 It is possible that the first Klingons landed on Paggrah and took the technology for themselves and developed it into the systems that first allowed them to explore deeper into space. 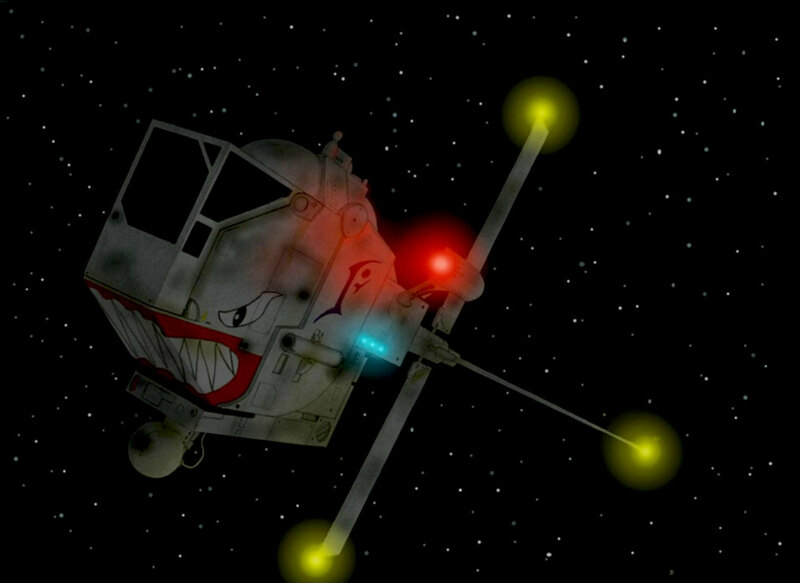 The Paggran fighters are incredibly well armed for their size with a missile pod either side that contains a dense anti-matter warhead in each of the 4 projectiles stored. 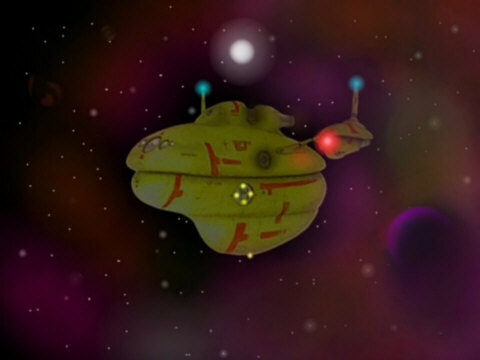 The chin has a gimble-mounted plasma-beam weapon and the whole ship is driven by a shielded fusion generator. The ships are maintained as antiques but stand as proof that if the Paggrans had been more motivated then their quadrant of the galaxy could easily be a very different place. The Doranian design ethic means that each of their vessels is highly unique. Their race is divided into clans who clamour against one another to produce better vessels in accordance with their individual philosophy and customs. The rivalry between the clans is such that they scavenge technology from one another to build each custom vessel so that it is superior to the last and those of the rival clans. Many of the parts of the designs are modular so that basic equipment is easily on hand for the development but it’s unusual that any two vessels have more than a passing resemblance to one another. There are three principal factions of the Doranian government with different perspectives and ethics. 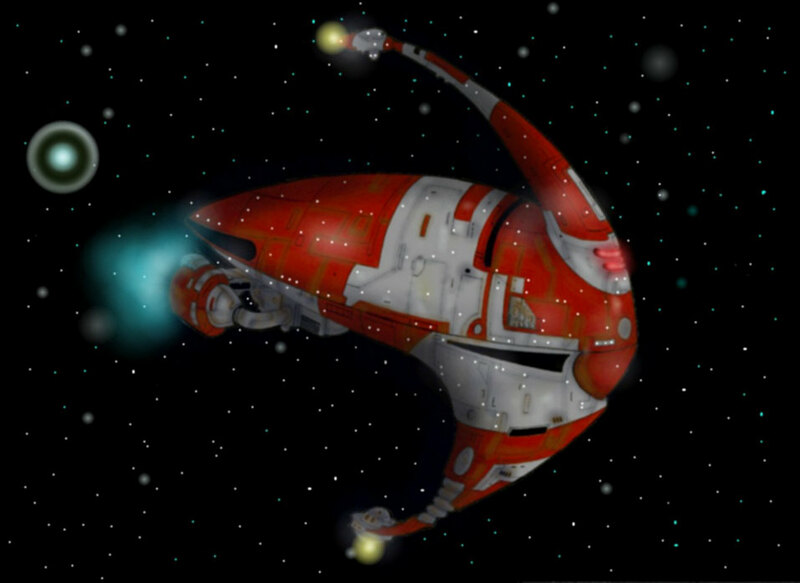 The D’gar are the wealthiest and produce the massive cruisers and decorate them in white and red. They take responsibility for planetary defence, exploration and relations with other races in effect viewing themselves as the primary clan. 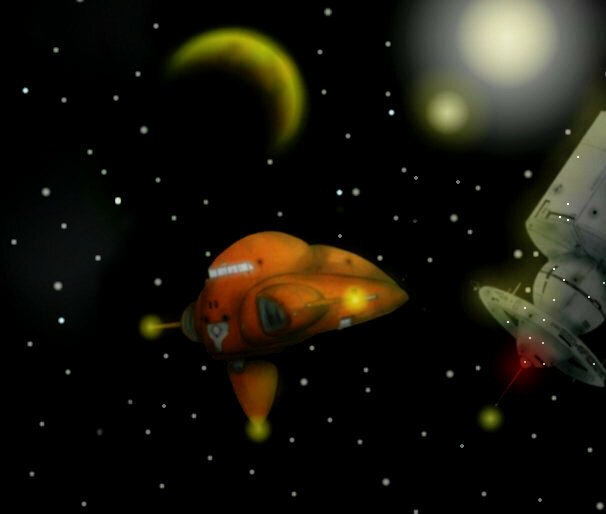 T’mak are more interested in maintaining their freedom from order and typically their bulbous orange vessels are medium sized craft with a crew of less than a dozen while the Klo’gran are more defensive and insular and usually their vessels have no more then a crew of three. The Klo’gran clan also spent many centuries living beneath the surface of their home-world and have developed an extreme sensitivity to light. Their windows spill a distinctive red light through them which is more comfortable to their condition. 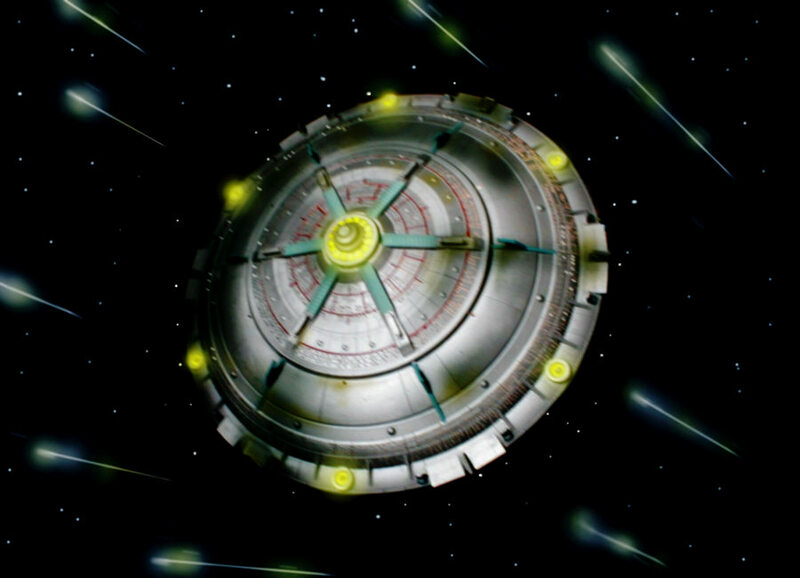 The T’mak are usually responsible for commercial operations like mining and commerce and as such their vessels vary the most widely in design.